Where you live: In the coastal fog at the edge of San Francisco Bay. What you do as a vocation or avocation? Teacher. Writer. TV interview show Host/Producer. 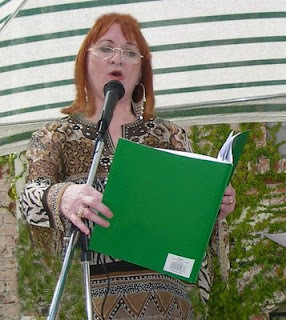 Literary Competition Founder/Director. Mental Health Activist. National Velvet by Enid Bagnold which I loved as a little girl and still love today and almost any books containing the collected and/or selected works of living poets. What comes to mind right now is “The White Cliffs of Dover” which always touches me deeply, makes me teary eyed and “I Am What I Am” which makes me want to sing along dancing around the room. I love (!!) sound tracks from movies, the full orchestra thrumming and mood-making symphonies, like that of Harry Potter, House of Spirits, Ryan’s Daughter. Especially love the score from the original Star Wars and Black Hole. Why are you interested in spirituality?Everyone is spiritual in their own way, calling it different things and manifesting it different ways. We can’t always define it, recognize it or avoid it ,so might as well open up and embrace it, whatever it is. Your favorite quote?“When in doubt, choose to do the kind thing.” Don’t know where it came from but right now it’s my slogan. Your favorite web sites?Of course, http://www.soulmakingcontest.us/ because it represents a personal project that means a lot to me. Also, because I made and maintain the website myself and if you knew how low-tech I am, you would see what a miracle that is. Also, http://www.nami.org/ which is the National Alliance for the Mentally Ill, a very important and vital source for those dealing with mental illness of their own and/or those they love and care about. The more informed we all become, the less stigma and fear. There is a community. There is support. And http://www.youtube.com/ for just about all their teaching/tutoring videos. Excellent! Don’t believe in heroes or superstars or saints. Believe we all at some point perform such acts but wouldn’t want to label any human being, alive or dead, with such an impossible reputation to maintain. But I do honor those who give back to the greater flow from which we all derive. Don’t know that I could name specifically any spiritual lesson I hope to learn, but do know that I love to learn. And the lessons are everywhere if I just open to them. Edges. Places where the land meets the sea, the mountain meets the valley, the forest the lake, edges of places, beaches, cliffs, peninsulas, estuaries. Yes, edges.